TOKYO, January 10. /TASS/. The Japanese government will continue negotiations on the peace treaty with Russia “in calm atmosphere,” Japan’s Foreign Ministry told TASS on Thursday in response to a request to comment on the results of Wednesday’s meeting between Russian Deputy Foreign Minister Igor Morgulov and Japan’s Ambassador to Russia Toyohisa Kozuki. “We will continue negotiations with Russia on the peace treaty in calm atmosphere, so we would rather not comment on this issue,” the Japanese Foreign Ministry said when asked to comment on the Russian Foreign Ministry’s statement that recent remarks on the peace treaty with Russia made by some Japanese officials distort the essence of agreements reached by Russian President Vladimir Putin and Japanese Prime Minister Shinzo Abe. The Japanese Foreign Ministry also noted that Ambassador Toyohisa Kozuki explained Japan’s position on the issue to Russian Deputy Foreign Minister Igor Morgulov but declined to elaborate on the details of the talks. “The Japanese government will continue the negotiations process [with Russia] in the framework of its main position – to resolve the territorial dispute and then sign a peace treaty,” the Japanese Foreign Ministry said. Hey Buddy!, I found this information for you: "Japan to continue negotiations on peace treaty with Russia “in calm atmosphere” — ministry". 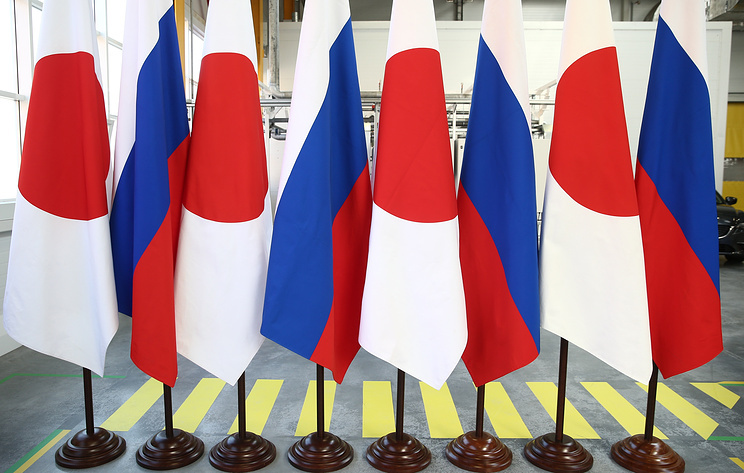 Here is the website link: https://russophile.org/japan-to-continue-negotiations-on-peace-treaty-with-russia-in-calm-atmosphere-ministry/. Thank you.